The perfect disguise never changes. 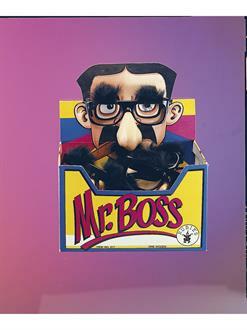 While wearing our Mr Boss Eyeglasses, you can take on entire new persona's without question. The Mr Boss Eyeglasses also include a thick mustache and eyebrow combination and a very big pasty nose. The costume is just priceless.